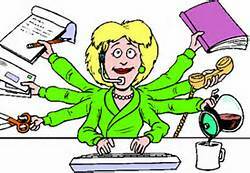 I’m Busy – an Excuse? Sometimes I’m so busy is an excuse… Let me say, I’m not talking about being diligent, and productive, and living your life with excellence. Many times our lives get out of balance because of an event, or a special project, etc. This isn’t the kind of busy I’m talking about. It seems for years it has been the sign of importance to be Busy. The busier we are raises our self-esteem and how others perceive us, right? If we are not Busy, then we must be a slacker, right? Well, I’m not sure that is true anymore, at least I hope it is changing. I see my kids and their friends, and I don’t think they think that way. They seem to make time to ‘be’, to enjoy, and be real. They don’t really ‘get’ why it’s necessary to be Busy all the time. I think they may have found balance. The truth is when we are not so Busy we can enjoy our relationships, our ‘Moments’, and we can take time to stop and have coffee with a friend, or go to a movie. I didn’t get out of the house much this week as I was working on some projects, but even so I caught myself getting ready to tell someone , ‘I’ve been so busy’, but instead I gave a different answer. Next time I have some other choices we can say. How about you? How do you answer the question, How are you? QUESTION: Are you ‘busy’ and loving your life.. or just ‘Busy’?